Posted on June 7, 2018 at 2:56 pm. 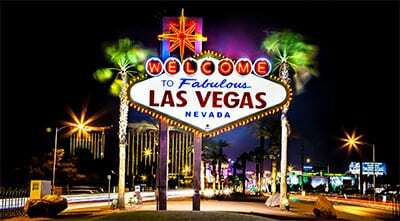 The Culinary Union, which protects Las Vegas casino-hotel workers, has turned its focus to other casino operators after reaching provisional labour agreements with Caesars Entertainment and MGM Resorts International. These two companies employ the largest number of gambling and hospitality staff who are threatening to enact the first citywide strike in more than three decades. On midnight of May 31, more than 50,000 bartenders, kitchen workers, housekeepers, bellmen and other workers at 34 casino-hotels had their contracts expire. Last Monday, the Union hinted that it was shifting focus to 15 other companies in Vegas that are not covered by the deals with Caesars and MGM. With the Union authorising a strike in May, any worker without a new five-year contract has the liberty to at any time walk out of properties like The D and Downtown Grand, Treasure Island, Tropicana, and Golden Nugget. The Culinary Union was not ready to make public the details of the agreement reached with MGM and Caesars because the workers have not yet sanctioned them. However, both parties agreed on wage increments and equipping housekeepers with “panic buttons” in a form of wireless devices that workers can use to alert managers when under threat. The Union reached a deal with Caesars on Friday and MGM on Saturday after negotiations began in February.